Imagine horses riding through the frigid landscapes of Scandinavia and Iceland. The Icelandic horse should be the type of horse you picture. This beautiful Norse mare has an incredible history filled with wonder and northern mythology. It’s said that more than a thousand years ago, Norse settlers brought this beautiful creature to Iceland on missions of exploration. Once there, these little horses (literally) felt quite at home, as the cold weather not only was familiar with them but also guarded them against the diseases typically targeting horses elsewhere. This is a short description of the beautiful Norse horse. We will be talking about how it compares to other horses and how come it’s called a horse despite its small size. We will also go a bit further into its history: what are its direct ancestors, why it was brought to the little northern island, and for what purposes it is used today. 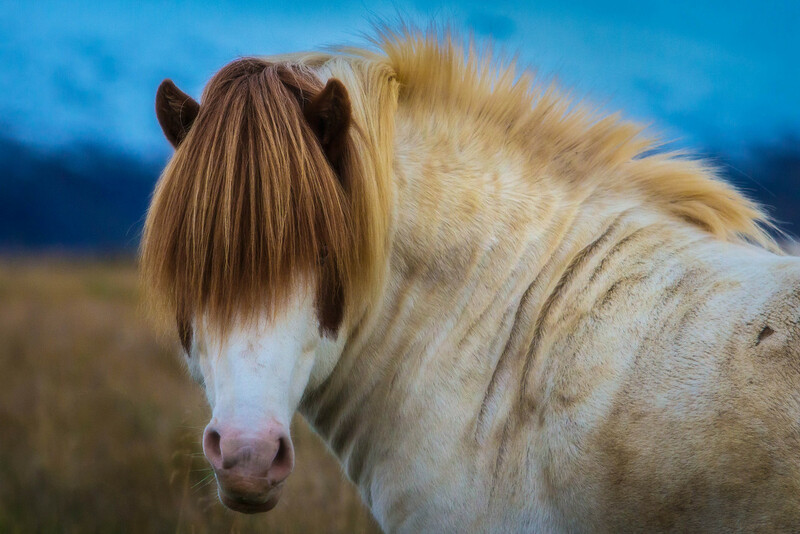 The Icelandic horse is a true wonder of the equine world – one well worth the attention we’re going to give it here. It’s the only horse breed who can run 5 gaits. Although only horses specifically bred to possess this ability can do it, the Icelandic horse can run in 5 different ways. The first three Icelandic horse gaits should be obvious enough: it can walk, trot, canter and gallop. Okay, some equine experts consider the latter two as separate gaits. However, it sounds better if you say the horse can run in 5 gaits than in 6, doesn’t it? The other two gaits that the Icelandic Horse can perform are called the tölt and the flugskeið. In plain English, these translate to the ambling gait and the flying pace gait. The Icelandic horse tolt is a gait like thunder: the little horse bursts into an explosion of both speed and acceleration, leaving bystanders far behind. The tolt, we are told, used to be the preferred riding gait of the old Norsemen (aka Vikings). They used this gait for covering long distances in short amounts of time while at the same time riding in a comfortable position. The flying pace, apart from its awesome sounding name, is a really unique gait. Unique not because it suddenly starts gliding in mid-air, but because between every running movement, it has a short moment where all four legs are suspended in the air. So, basically, it’s more of a jumping gait. And it’s also really fast: some Icelandic horses can achieve over 30 miles per hour. It can’t get any disease. This is an overstatement, of course, but think of this: the Icelandic horse has no natural relatives on Iceland. Because it’s protected (on account of the 1783 Lakagígar eruption which wiped out much of the breed), Icelandic policies are designed to protect the animal). Thus, a horse leaving Iceland is not allowed to ever come back. Also, all equine equipment coming into the northern island has to be sanitized prior to entry (no matter whether it’s new or old). And lastly, all livestock trading between Iceland and other countries is strictly prohibited. So, apart from a few gastrointestinal infections, the Icelandic horse can’t naturally get sick. They were Viking horses. If you didn’t get this by now, the Icelandic horses were the horses of choice for the Vikings. And if that doesn’t say how powerful they are, then I don’t know what will. Vikings bred these horses from several other breeds, such as the Shetland pony, the Highland pony, and the Connemara pony. It’s also said that this horse has strong genetic ties with the Mongolian horse. This could be a reason for its awesome look, but we don’t really know. Why the Icelandic Horse Is a Horse? It’s not so obvious why such a little horse is still considered a horse. Why not just call it a pony and be done with it? Well, if you’ve read what we have said so far, you’ve probably already understood this. First of all, not all Icelandic horses are so small. Some can get quite large. Secondly, its personality is really tough: you can see it’s been greeted like a horse and not a pony for a long time. Thirdly, it packs the power of a horse into a smaller package. Literally. Where Are the Icelandic Horses Today? After the 1783 eruption which wiped out about 70% of their population, the Icelandic horse slowly recovered up until the 20th century. Then, the human population of Iceland started paying much more attention to their national pride. They began an intensive selective breeding program which quickly assured the horses would also appear in Germany and in the UK. There too the horses were intensively bred. Today, about 80,000 Icelandic horses ride the plains of Iceland. As for Icelandic horses abroad, there are about 100,000. Most of these reside in Germany (50,000) and in the UK. In the US, Icelandic horses can be seen in Vermont where there are specific breeding operations going on. 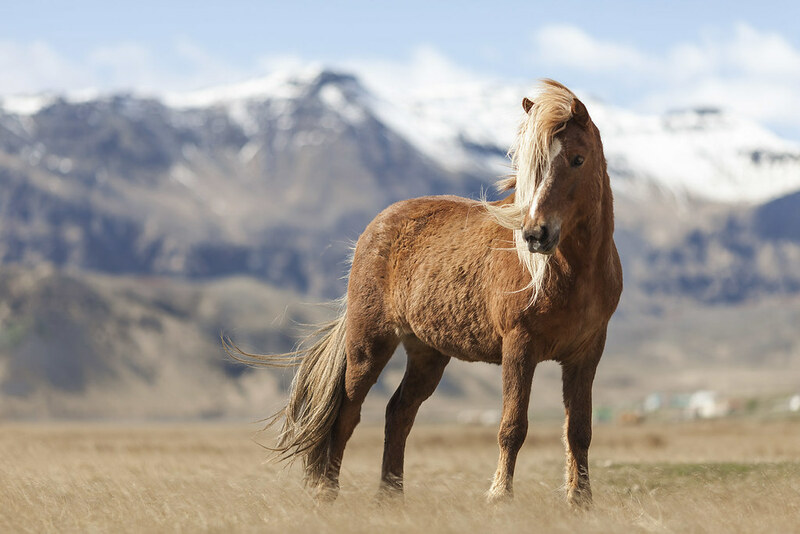 What are the Uses of the Icelandic Horse Today? In the distant past, the beautiful Icelandic horse was mainly used for riding. Today, they are bred for many things. In Iceland, there are regular Icelandic Horse races between April and June. In the winter, frozen lake races are a particularly nice tourist attraction. A lot of horses are used for touristic purposes (riding). Farmers in Iceland and elsewhere use Icelandic horses for herding. Unfortunately, this little horse is still being bred for slaughter and its meat is in high demand particularly in Japan.